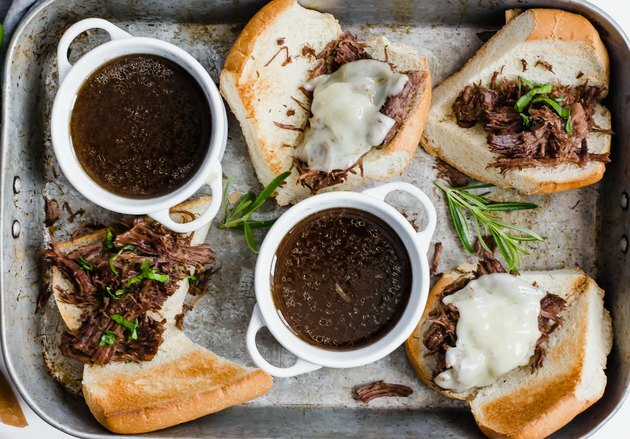 French dip sandwiches are a dinner staple that fit into your meal plan year-round. However, sometimes you don't want to wait all day for your roast to cook, giving you that perfect, fall-apart meat. That's where the Instant Pot comes in. 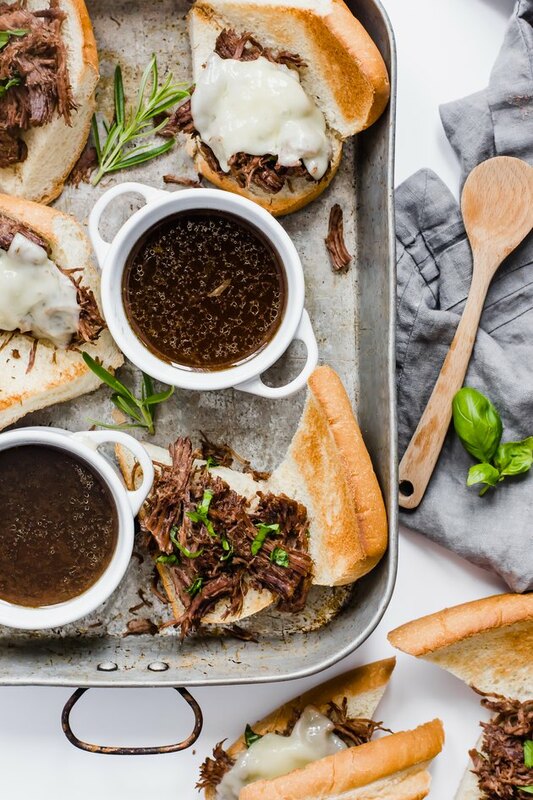 Learn how to make French dip sandwiches in the Instant Pot pressure cooker in under two hours by following the steps below. Pour avocado oil into the Instant Pot bowl. Press "Saute" button. Sprinkle the roast with salt and pepper on both sides. Place in bowl and cook on both sides, about 2-3 minutes each until browned. Remove from pot and press "Cancel/Keep Warm" button. Deglaze the pot with beef broth. 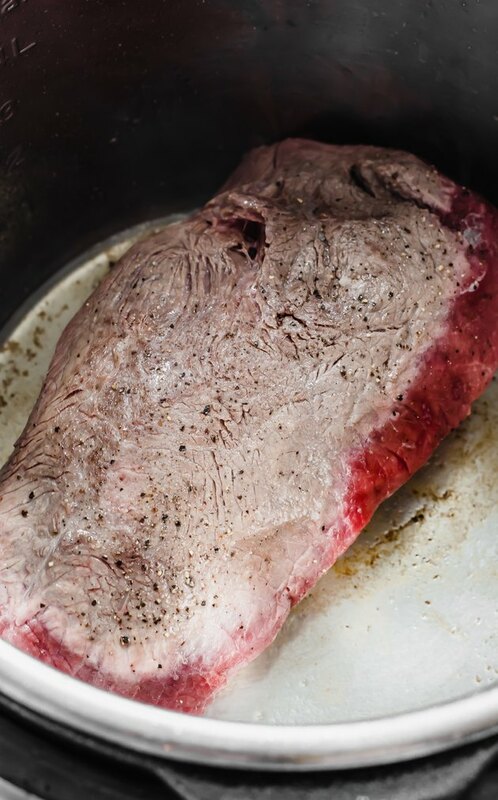 Use a wooden spoon or spatula to scrape off cooked bits from searing the roast. Mix in red wine and French onion soup mix. 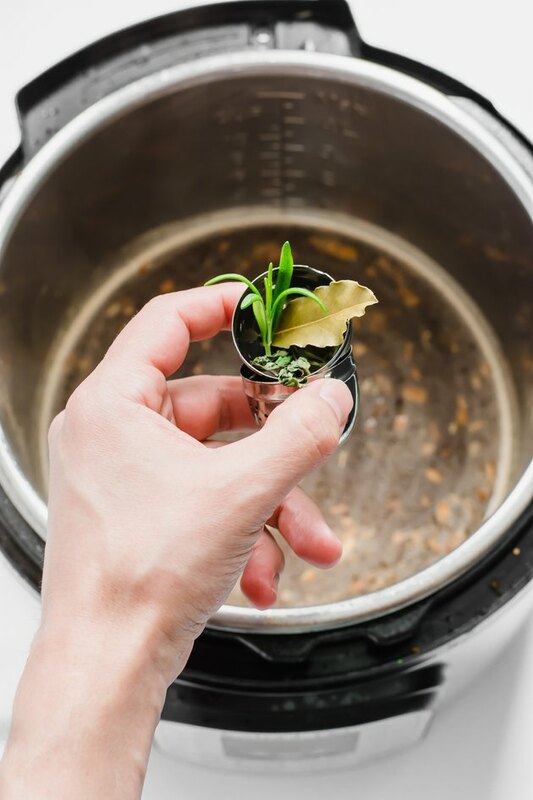 Put the herbs in an infuser and place in broth. Place roast in broth. Close lid, flip valve to "Sealing" and cook on manual high pressure for 90 minutes. Let it natural release 25 minutes. Once meat is done cooking, flip the valve to "Venting" and open the lid. Remove roast from sauce and shred. 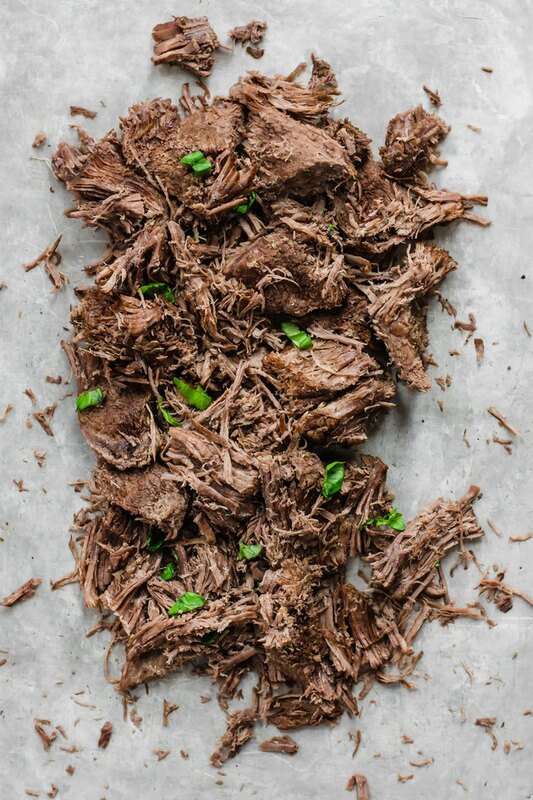 The meat should be tender and should shred easily. Prepare four hoagie sandwiches with meat and provolone cheese. Broil in oven to melt cheese, sprinkle with parsley or basil for garnish, and serve with au jus sauce for dipping. Enjoy!